So how did it all begin with the clarinet, Matthew? I’d love to say I heard the sound of a clarinet one day on the radio and longed to make that sound, but it’s a little more mundane.. I played the recorder, and a friend of my parents’ heard me and asked if I’d like to play the clarinet, so I did. And what happened next? I gather you start off as a singer! My training took a few stages- I’d say that of greatest importance was being a chorister at Lichfield Cathedral- singing two hours every day from the age of 7-13 basically made me the musician I am. 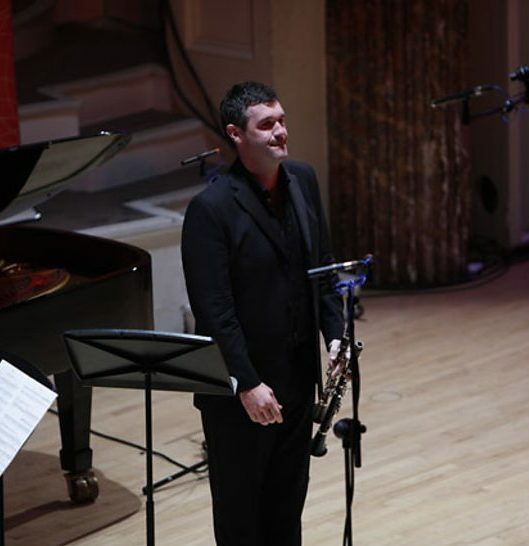 My most influential clarinet teachers were the great Pascal Moraguès with whom I studied for two glorious years in Paris, and the Late Dame Thea King here at the Guildhall school in London. Whilst I was more in tune with how Pascal plays the clarinet, Thea taught me to leave no stone unturned, musically speaking. You perform as a soloist, chamber musician and orchestral player. Are there ever any conflicts with these three very different disciplines? That’s an interesting one- I think at heart I’m a chamber musician, which informs all the playing I do. I believe that if an orchestra is to be of any real musical value the musicians must all know how to play chamber music. The important thing is to listen from within and to shape each phrase as part of a whole. Likewise, any soloist who is worth anything, understands all that is going on, and lives and breathes the music with and within the orchestra as well as playing a solo line on top. What is your most memorable experience as a soloist? I think two stand out: I played a Strauss double concerto in the Cologne Philharmonie with Paavo Järvi conducting. We’ve worked together a lot and being a soloist with him conducting is like playing with a great pianist. He is so in control and ready to interact that it makes for an exciting musical collaboration. The other was playing Debussy’s Rhapsody in the chamber hall at the Berlin Philharmonie with a chamber orchestra drawn from the Berlin Philharmonic. As a teacher, what sort of advice do you give to younger players? To listen intently to the music, to what the music says to them, to the musician inside them and to be as truthful to that as possible. We are currently producing musicians with a deeply unhealthy obsession with perfection, which is at the cost of expression and musical freedom, and whilst accuracy is important, I try and open students’ minds to the possibilities out there, and to see beyond the notes on the page. Tell about some of the forthcoming concert engagements. I’m currently in China playing trios, which is fun and before our Firebird concert I will be on tour with a string quartet and the pianist Elisabeth Leonskaja, which is a tremendous thrill. Next year’s great highlight will be Brahms’ clarinet quintet in a big string orchestra arrangement in Australia with the great Finnish violinist Pekka Kuusisto, Pekka recently made the proms audience sing a folk song as his encore. We work together a lot, and I know it will be fun. Mozart’s concerto is in every clarinetists repertoire. What do you bring to it that’s different? Mozart loved the closeness of the clarinet to the human voice, it’s ability to change mood and sound, make mercurial leaps up and down the instrument, and it’s different registers. 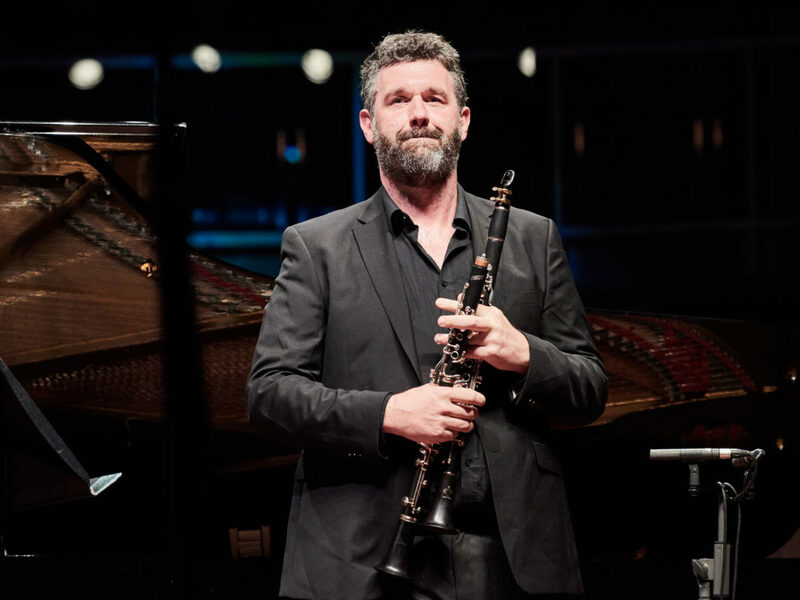 The concerto is really like a confection of his operatic characters, who take turn to appear, sing duets and solos, yet all played by the clarinet. I love his operas, and the more I get to know them, the more they get reflected in my performance. A cookie is a small file of letters and numbers which we save on your browser or on the device you access this site from. Some of these are vital to make the site work (particularly to ensure safe access to any secure areas of the site). Others enable us to analyse usage of our sites so that we can make improvements and ensure they are relevant and user-friendly. We also save cookies which identify you so that we can tell you apart from other users and tailor the site to you when you return to it: for example, by greeting you by name and remembering your preferences. Click on the different category headings to find out more about the cookies we use. You can also change some of your preferences. Note that blocking some types of cookies may impact your experience on our websites and the services we are able to offer. You have consented to our using those identifying cookies, by clicking "OK" on the banner that appeared when you first visited the site, or by navigating to another part of the site from that banner. You can withdraw your consent to our saving cookies which identify you at any time by e-mailing rory.graham@cglaw.uk. You can also block cookies by activating the setting on your browser that allows you to refuse the setting of all or some cookies. However, if you use your browser settings to block all cookies you may not be able to access all or parts of our site. It may be that your concerns regarding cookies relate to so-called ‘spyware’. Rather than switching off cookies in your browser you may find that anti-spyware software achieves the same objective by automatically deleting cookies considered to be invasive.